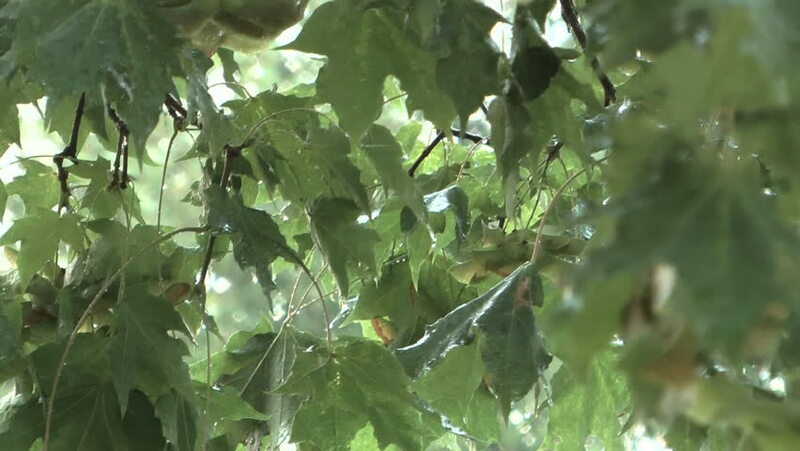 HD 1080 of close up shot of raindrops splashing on maple leaves. hd00:20Green leaves in the rain. A tree in the rain. Summer shower. hd00:14 flowers in small clusters on a cherry tree branch, fading in to white. Shallow depth of field. Focus on center flower cluster. sd00:07CU bright green poisonous vine snake looks directly at camera.